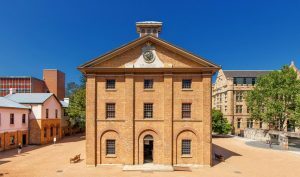 Sydney Living Museums announces a major renewal of Hyde Park Barracks Museum that will see the UNESCO World Heritage-listed site transformed with a rich new, immersive visitor experience like no other in Australia. Bringing history to life, the Hyde Park Barracks Museum renewal project centres on telling a significant part of Australia’s convict story, its impact on First Nations people and the site’s early contribution to immigration. “The reinterpretation of such an iconic heritage site marks the site’s 200th anniversary and promises a bold, new look at the complex, challenging and inspiring stories of Sydney’s early history,” said The Hon. Don Harwin MLC, Minister for the Arts. Sydney Living Museums is working with internationally-acclaimed exhibit and media design specialists Local Projects to develop a realistic exhibition experience, featuring an engaging narrative and employing contemporary interpretative techniques, immersive installations and unconventional interactive elements. “This $18 million renewal project reflects the best in contemporary museum design. It will bring the personal stories to life in a truly authentic, emotional way that is relevant to people’s lives today,” said Mark Goggin, Executive Director, Sydney Living Museums. At the heart of the new visitor experience is a collection of over 4000 original objects on display, many of them artefacts from the internationally-recognised Hyde Park Barracks Archaeology Collection. Hyde Park Barracks Museum will be closed to the public from 29 January and will reopen in late 2019.